"Our steel base system removes the need for foundations (only pads needed), bricklayers, diggers, skips, and pre-mix concrete wagons. Our-state-of-the-art modular extension system has been designed for fast installation to the highest standards." 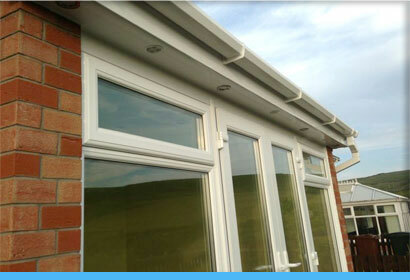 "Our house extensions have been designed to be installed by either a proficient DIY enthusiast, local builder or fully installed by our installation team. Call us for more details." 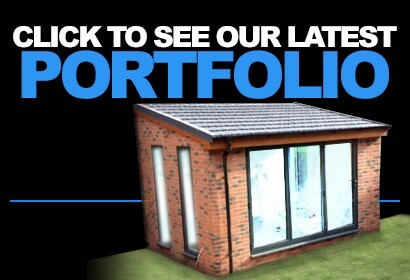 Take a look at our range of Modular House Extensions. Brand new to the market and installed in 3 Days. 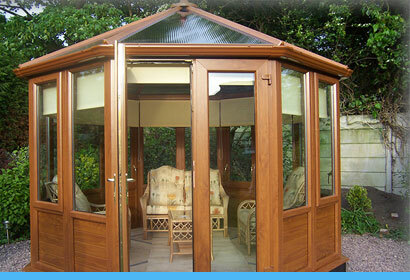 Enjoy more time in your garden with one of our Garden Buildings. Installed in just 1 - 2 days with no mess and no fuss. Enquire today! At UK House Extensions we like to think outside the box. All our products can be designed to your exact requirements. You're not fixed to certain dimensions or designs. Custom made to your requirements with precise measurements. The system is suitable for most properties and in most cases with no need to disturb your existing paths or frontage. Walls are pre-clad and only require supplied bridging bricks and mortar applying on site. 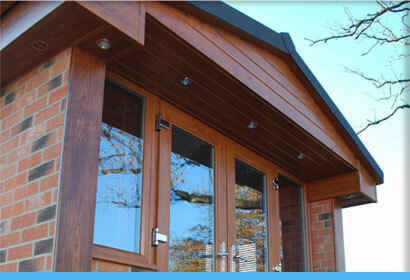 Flexible choices of styles, door positions, panel types and roof styles. Pre-fabricated steel base with adjustable legs. Dwarf wall system with choice of brick, stone or plain finish for rendering. Supplied with moisture resistant membrane and floor insulation. Perfect for DIY or Professional installation, supplied with comprehensive installation instructions. Comes with a 25 year guarantee. Caters for uneven and sloping sites with ease. Can be installed over existing paths, no major earthworks required. Sites with existing drainage pipes and covers do not need to be relocated. Excellent 'U' values, giving greater insulation properties than traditional buildings. No Diggers, Skips, Pre-Mix Concrete Wagons or piles of materials everywhere. Can be constructed without worrying about the vagaries of the British climate. We know what you're thinking. How on earth can a company build an extension in just 3 days? Well, we have been working for many years in the DIY conservatory industry and have designed and developed our own modular conservatory system. This side of our business has proven to be very successful so we decided to expand our system to other applications. After a number of years looking in to how our system can be used we designed our own modular extension system and we think it's incredible. Our extensions are prefabricated in our facility over a 21 day period, then delivered to your home and installed in 1 - 3 days depending on the size and complexity of your project. This includes erection, electrics and plastering completed in that time period. Conservatories and house extensions are only two of our application as we can also create beautiful static caravans that are much sturdier than traditional static caravans. If you have any questions or would like to discuss your extension project with one of our dedicated engineering teams please take the time to get in touch. Our staff are friendly, approachable and waiting to take your call. Alternatively please use our contact form by clicking here.